I recently set a fitness goal to ride a 30-mile trail across a rural part of my state. It's a no brainer that I want to cache along the journey...there are 14 caches along the nature trail route I'm planning. 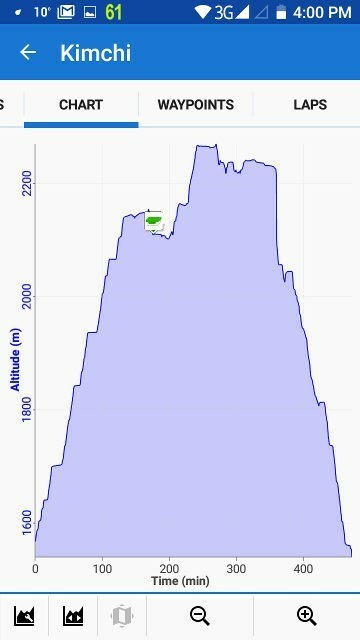 I'm struggling to find a GPS that has caching capabilities and can also track the statistics (speed, duration, elevation change, etc.) of my ride. I've found devices that work for one or the other, and would be willing to carry both if necessary. However, I'd obviously prefer just one. Is anyone familiar with a device that works for both tasks? 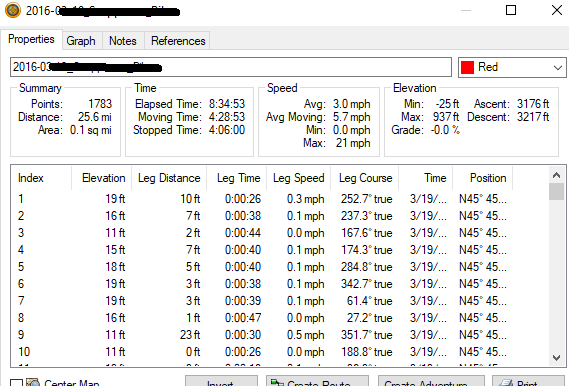 You can also upload these tracks to www.strava.com, which will do some stats, charts & graphics for you. If Locus Map (a map- and caching app for Android) doesn't do what you want, I'd be surprised. It's popular with athletes doing stats, to judge from their forums. Any of the Garmin GPS models will record your stats. They'll even pair with the cadence and speed sensors that most use with their bike computers. In my opinion, the Garmin Oregon models are the most comparable to their bike units (the Edge series), and because they are touch screen, they are easy to use while riding. The Oregon also has a nice feature that lets you pause tracking so that the stats aren't collecting while you're signing that geocache log. I have used Etrex 20 on my bike with nifty handlebar mount. Yes, but if they want to also record sensor data such as temperature, heart rate, cadence, etc..., they will need an eTrex 30 or 30x to have that capability! The Oregon 6x0 and 7x0 will all record that information as well. Would not a fitbit or similar handle that? I've just started looking into these gadgets to see if there's any value/benefit to be had. The more I read about them the more information overload I suffer - a bit like researching a new GPSr I suppose. The other 2/3rds used Bike Computer for iphone, and when looking at others, realized that most were "compatible with" strava. Used it for around a year. Around 20 bucks IIRC.